46 Shank Painter Road in Provincetown is a one plus bedroom three bath home with 2,208 square feet with rear frontage on Shank Painter Pond. It was listed for $875K and sold for $835K. MLS Remarks: Pond front Cape with 3 floors of luxurious living located on Shank Painter Pond wildlife Sanctuary, only 2 blocks to Commercial Street. Dramatic, open-plan LR/DR framed by a wall of glass overlooking conservation land. High ceilings, glass doors leading out to large deck, hardwood with stone walls surrounding the fireplace. Sleek gourmet kitchen w/double wall ovens, 6 burner gas stove, wine cooler, subzero fridge. Full bath and a den that opens to a sheltered dining/sunning deck. The master bedroom suite is located on the lower level with double walk in closets, master bath and sauna. The second open plan bedroom suite, full bath, and a deck overlooks the pond on the upper level. Laundry room, outside shower, hot tub, central vac, storage, multiple car parking. 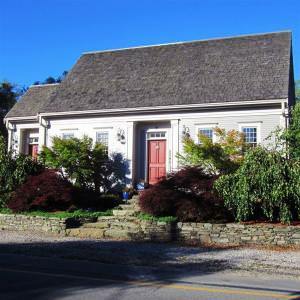 42 Great Hollow Road in Truro is a six bedroom two bath home with 2,073 square feet. It recently sold for $1.2M with a list price of $1.395M. MLS Remarks: Come Live The Dream! Waterfront! 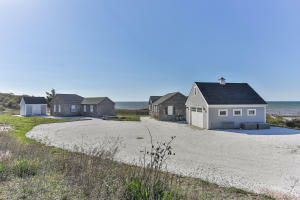 2.28 acres on Cape Cod Bay with private beach. Cute as a button, the two existing three-bedroom cottages are wonderful and have a strong rental history. Views to Provincetown, Plymouth and Dennis. Every sunset, every day! Drop a mooring in the Bay. 17 minutes by boat to Provincetown. The seasonal cottages can be removed and replaced with a single family year round home of your dreams. Bring your architect or builder today. Clearly one of the few remaining waterfront sites yet to be developed into luxury housing.